H.D.’s work is informed by a powerful and startling vision of regenerative, female force that holds out hope at a moment in history where other modernists found only despair. 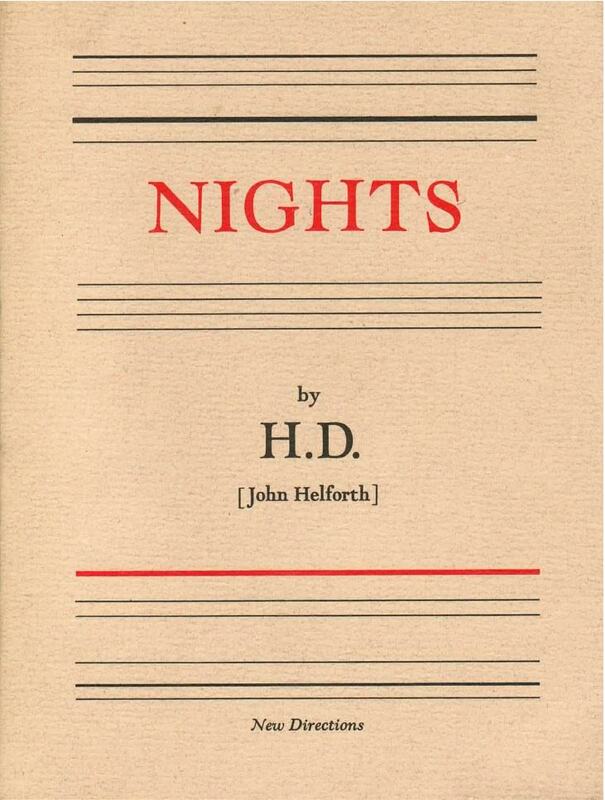 H.D.’s Nights is about one woman’s attempt to get to the essence of her bisexuality and failed marriage through an illicit heterosexual affair––an attempt that eventually ends in suicide. Much like a mystery novel, we are given the clues to the writer Natalia Saunderson’s death: a muff and watch left beside a frozen pond and two parallel skating lines that meet. Following her drowning, Natalia’s manuscripts, a kind of experimental diary, are delivered to a publisher friend, and they provide the details which lay bare the often painful story.